MUNDA, Solomon Islands » Relief workers reported the first signs of disease today among survivors of a devastating earthquake and tsunami, as damaged airports caused a bottleneck in the flow of badly needed water, food and medicine. Red Cross official Nancy Jolo said her agency had handed out all the emergency supplies it had stored in Gizo, the main town in the disaster zone, and was waiting for new supplies from a New Zealand military transport plane that landed late yesterday in nearby Munda. 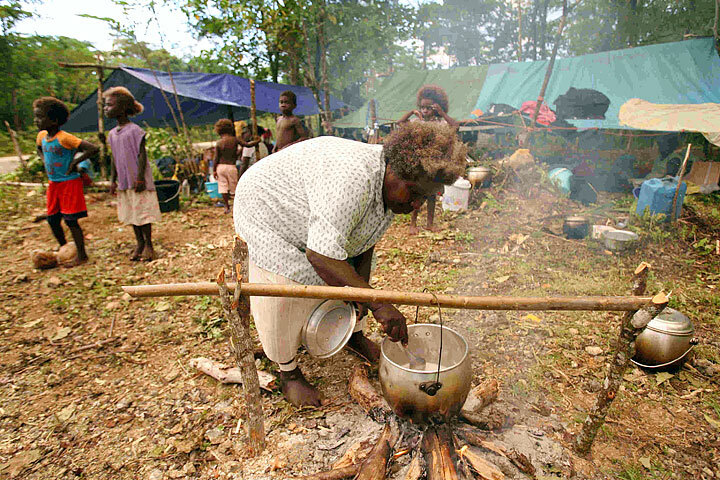 "The priority need right now is for water," Jolo told Australian Broadcasting Corp. radio from Gizo. "What we are experiencing right now in some of the campsites is children starting to experience diarrhea." At least 28 people died in the tsunami and quake, measured at a magnitude of 8.1 by the U.S. Geological Survey. The victims include a bishop and three worshippers killed when a wave hit a church and a New Zealand man who drowned trying to save his mother, who remains missing. Disaster officials said the toll was expected to rise as rescue crews reached outlying villages that were flattened by the waves. Bodies could be seen floating in the water by authorities conducting aerial surveys of the destruction; there was no official count of those missing. Some of more than 2,000 people who spent Monday night camped on a hill behind the town of Gizo returned yesterday to look for supplies or loved ones. Others were too afraid to venture to the coast amid more than two dozen aftershocks, including at least four of magnitude 6 or stronger. 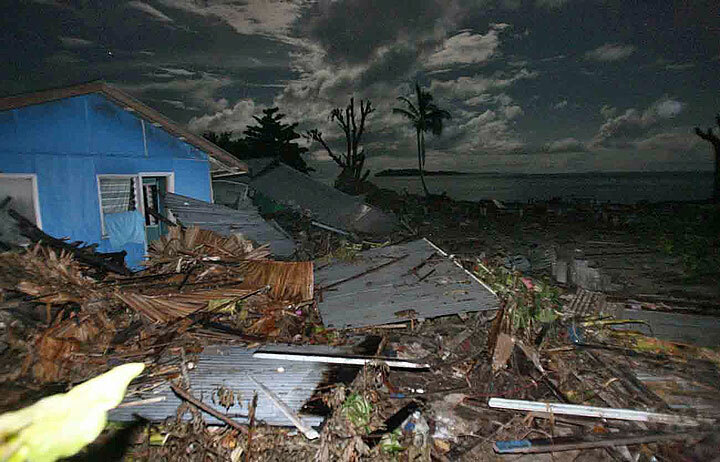 Julian Makaa of the National Disaster Management Office said more than 900 homes had been destroyed around Gizo and about 5,000 people affected. Gizo's airport remained closed, and helicopters or a boat journey of several hours were the only ways to get emergency supplies to the town. Australia, New Zealand, the International Red Cross and the United Nations were among those offering aid. The United States announced a donation of $250,000 for immediate relief. No formal relief plan was announced after a day of meetings by senior government officials. Makaa said the airport had been cleared of debris and would reopen today.